Note: Tom Bihn sent me three wallets for review purposes. Tom Bihn has released a collection of four minimalist wallets, which are all very similar, but seek to accommodate the differing needs of people. I’ve been testing these wallets now for two weeks and have a pretty good feel for them. Each variant is numbered 1 through 4. 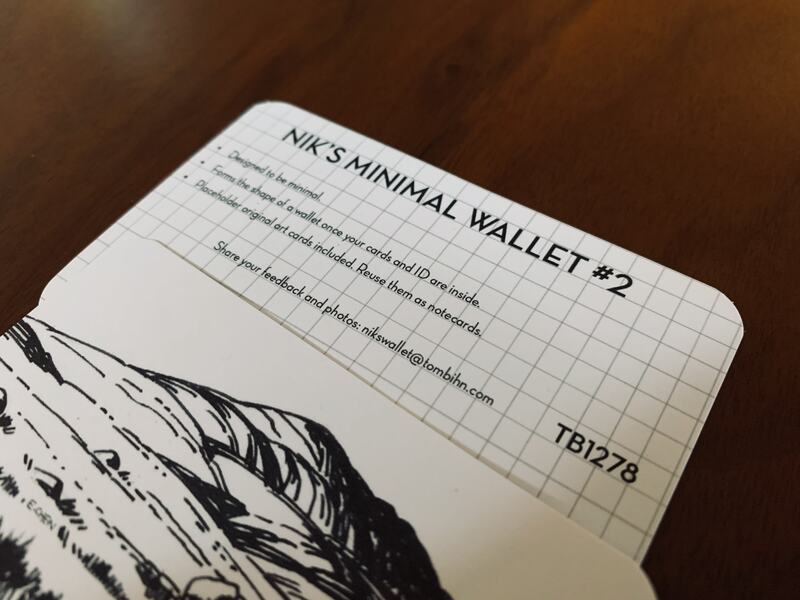 I’ve been testing numbers 1, 2, and 3 — but mostly size of #1 as I prefer a very small wallet. This is the most minimal of the wallets, and my favorite to boot. The variant I was given is Black 400 Hacylon and looks really great. 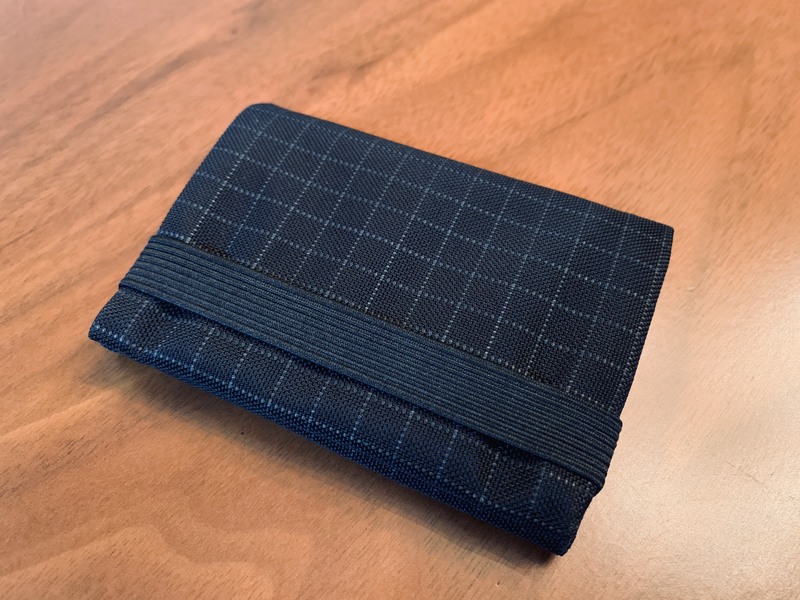 The wallet is a simple clamshell design with pockets on either side in the wallet. It has an elastic strap to hold the wallet securely closed. You can also fold the strap back to keep it permanently out of the way, or you can fold the wallet open, and hold it there with the elastic strap so that you can gain quick access to the stuff inside — though losing security. There’s no external branding on these wallets, only a small ‘TB’ logo on the inside of the wallet, which is perfect. What you put in it stays very securely, even if you choose not to use the elastic strap. And this additional security of the strap doesn’t add much bulk to the wallet. 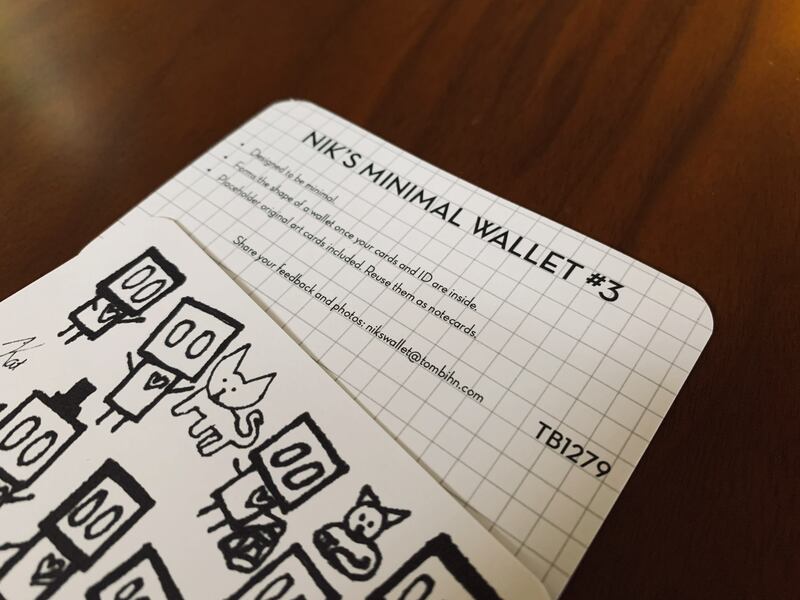 The wallet forms well to what you have in it, without stretching out. You can cram it full of cards one day, and then put only a few cards in it the next, and everything still fits like the wallet is new. This wallet has become my go to. It holds a few bills of cash well, and my standard 4-6 card load out perfectly. My only complaint is that the elastic strap keeps me from being able to pull something out of the wallet while it is still in my pocket. That’s not a deal breaker, as the upsides of the security has proven more valuable. Another issue I tend to have with nylon wallets, is the slipperiness of them in my pocket. Making them prone to sliding out of my pocket at times. There’s no such issue with these wallets, and I think the elastic strap helps with that a bit. The pocket with the clear material is a bit stickier, and thus harder to remove the card which sits against the clear window in it. When empty and even folded, the wallet feels a bit different. To me it feel slightly thicker, but in trying to measure the difference, my notion doesn’t prove out. So this is more of a feel thing than a reality. For those who truly need an ID window, it’s rare to get one in such a minimal wallet, which is a big win. I’ve never been a huge fan of ID windows. Often people still ask you to remove your ID, or make you hand over your entire wallet. Both always seem to be more of a pain to me that it’s worth. That said, I do know most people consider an ID window an essential feature, and this one doesn’t obstruct your ID at all. 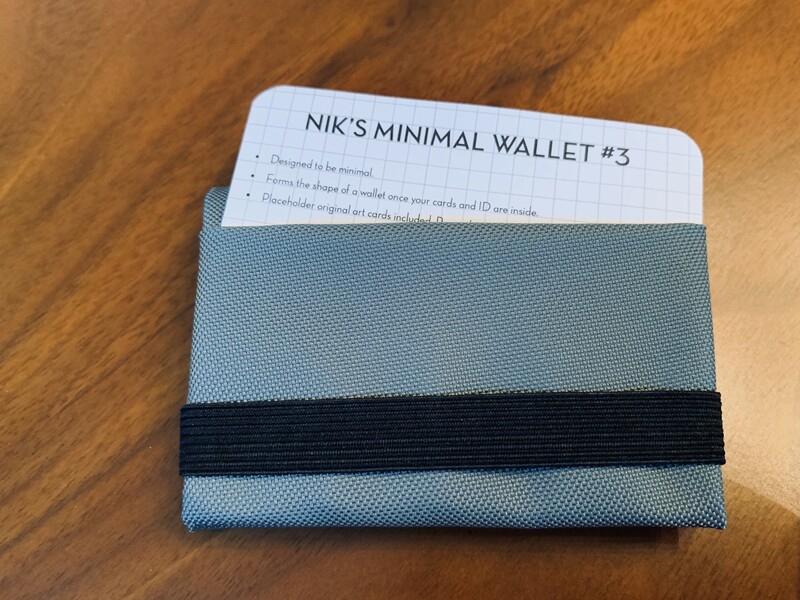 With the #3, the wallet starts to become something different, and yet it only adds a single pocket to the wallet. Tom Bihn has taken the #2, and added an external pocket to the wallet. 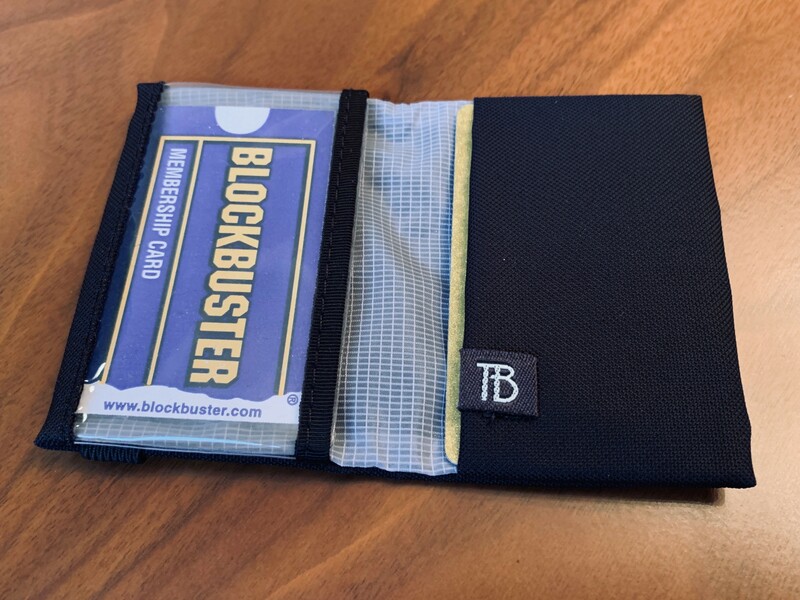 What really is big about this, is there is now a quick access pocket — something you can grab from within your front pocket without removing your entire wallet. 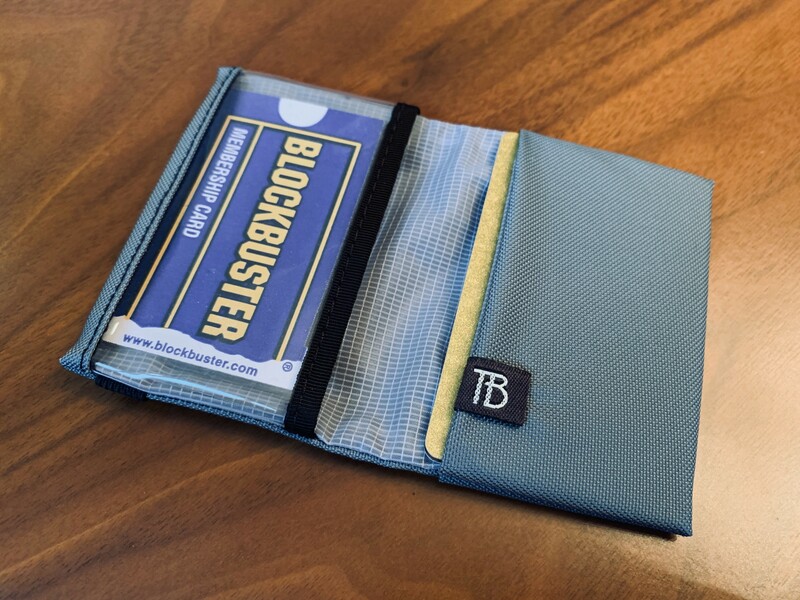 This can also act as a pocket to stash receipts and other odds and ends in as well. I haven’t had a chance to travel with these wallets yet, but I suspect that this will be the ideal size for travel. 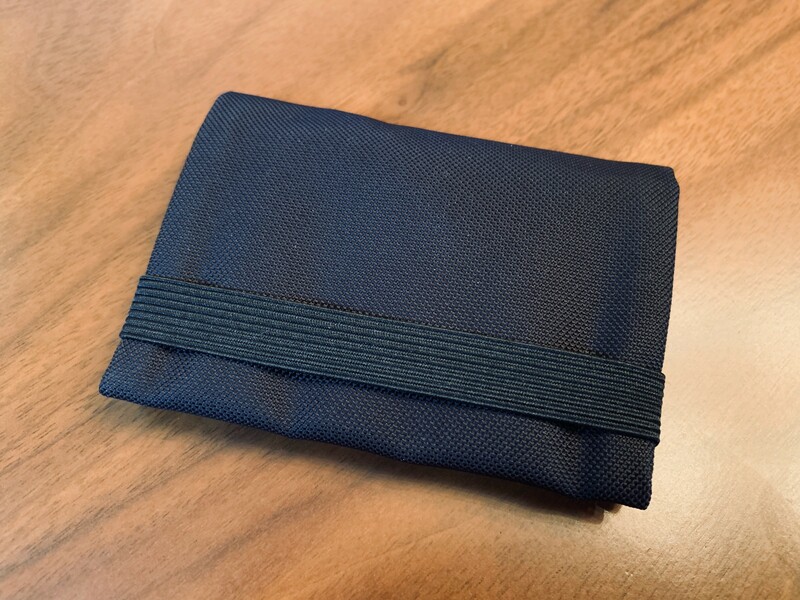 The external pocket will make a great spot for storing hotel room keys and other odds and ends you collect while traveling. 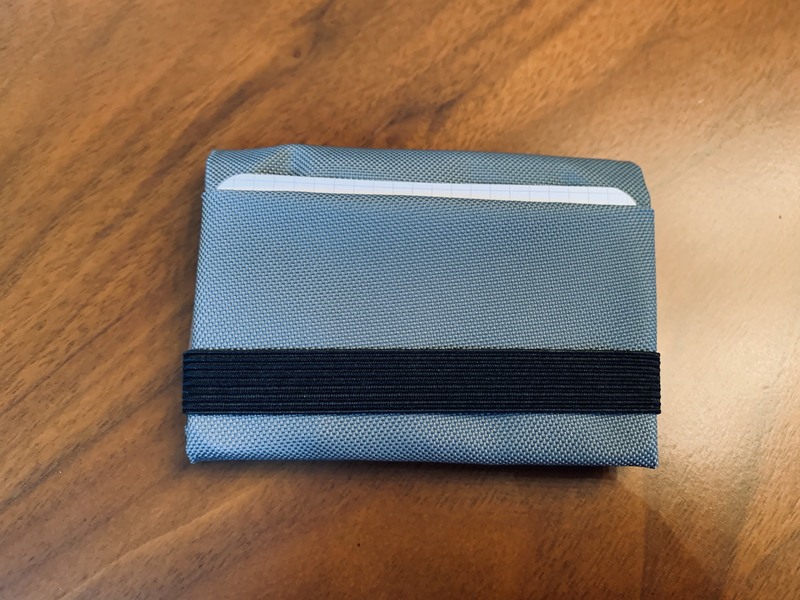 I haven’t tested this wallet, but it is the same as the #3, and adds a small nylon loop to the fold, so that it can be clipped into a bag securely. This also adds faster access and retrieval. Seems like a solid addition, especially for travel. But a feature I likely wouldn’t need or use. 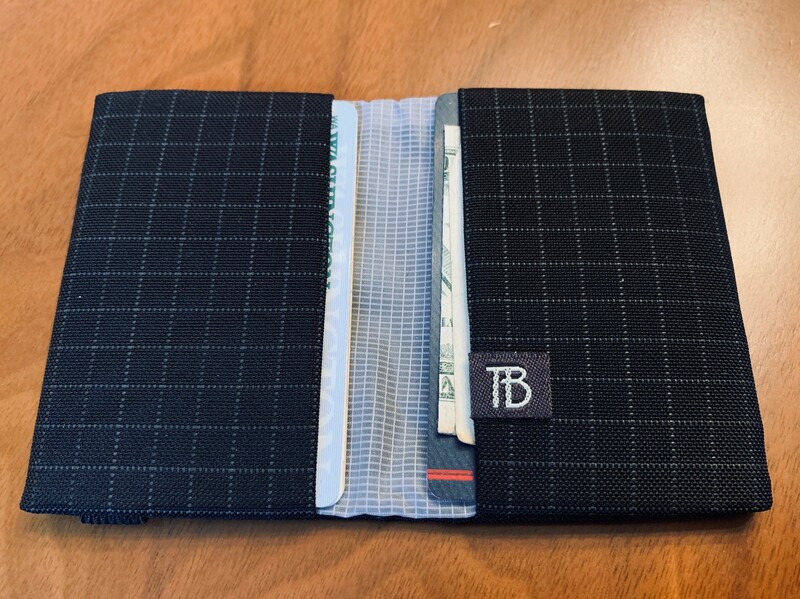 I love these wallets — they are damned good. They go on sale Monday, but you can look at the product page now. If I were to buy, ideally I’d get a 1 and a 3 for myself. I’d get whatever color looks best to you. I am torn between the ballistic and Hacylon as there is not a huge difference between them to me. If I only had to choose one, I’d pick the #3, simply because it would be more versatile. Those who are used to very minimal wallets will still find the #1 to be large, but being a person very sensitive to this myself, I’ve found it to be surprisingly nice to carry and not at all bulky. Great wallets. The only major miss is that they don’t hold business cards well, but then again, you really should have a separate case for your business cards. They are also priced right, leaving you with plenty of money left to actually store in the wallet. 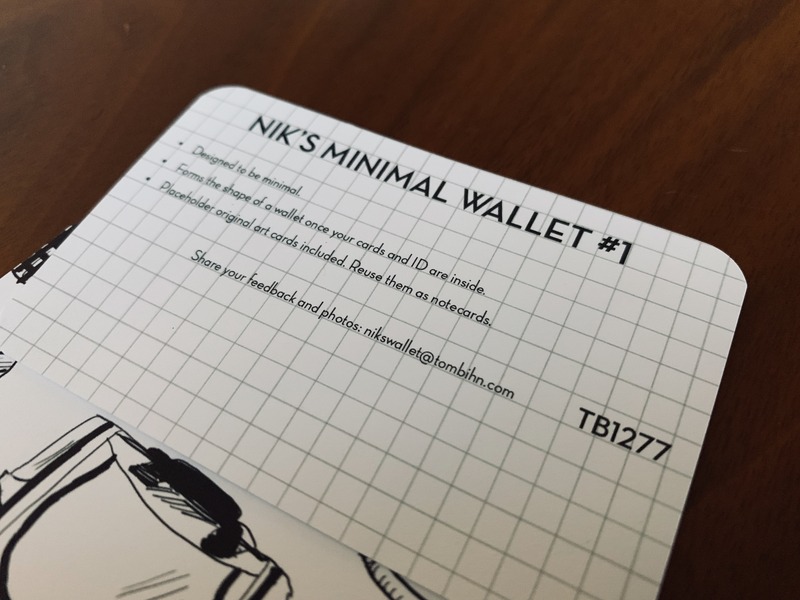 The #1 is $24 and the #4 is #32 — a great deal on well designed wallets. A great new collection of everyday, and travel, wallets from Tom Bihn.